Quantum brings to you a portable sound card for your laptop or desktop. 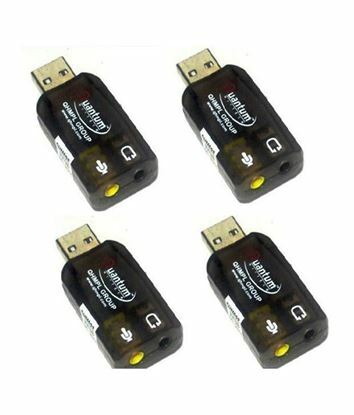 With this USB sound card you can listen to your favourite songs and also enjoy your movies. If your old sound card driver is no longer available on the internet or it has stopped functioning, This is the right product for you. 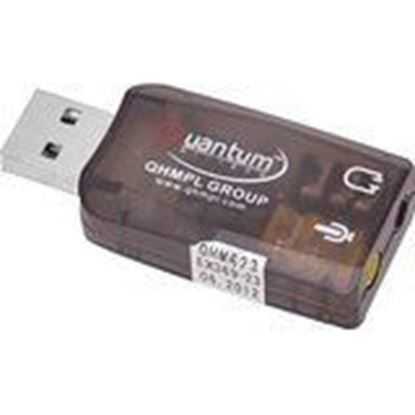 This product does not require any installation and thus saves you the trouble of finding the driver and making sure that it is compatible with your system. Quantum brings to you a portable sound card for your laptop or desktop. With this USB sound card you can listen to your favourite songs and also enjoy your movies. If your old sound card driver is no longer available on the internet or it has stopped functioning, this is the right product for you. 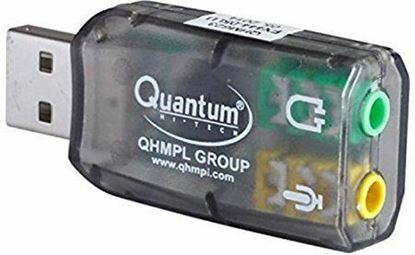 This product does not require any installation and thus saves you the trouble of finding the driver and making sure that it is compatible with your system. 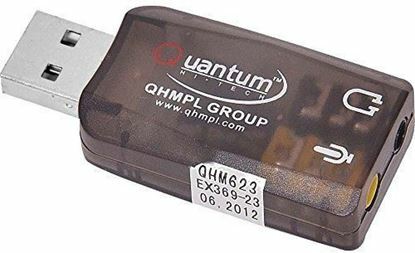 The USB sound card from Quantum is a portable device that does not require a power source or charging, unlike most other external sound-cards. This is a plug and play device which is USB powered so you do not have to worry about battery replacement either. It is a very small device which makes it convenient as well.